Stake out a site from this nifty cleanup flier (Courtesy Friends of the Los Angeles River). How can sturdy shoes, a pair of work gloves and sunscreen magically turn into a free T-shirt? 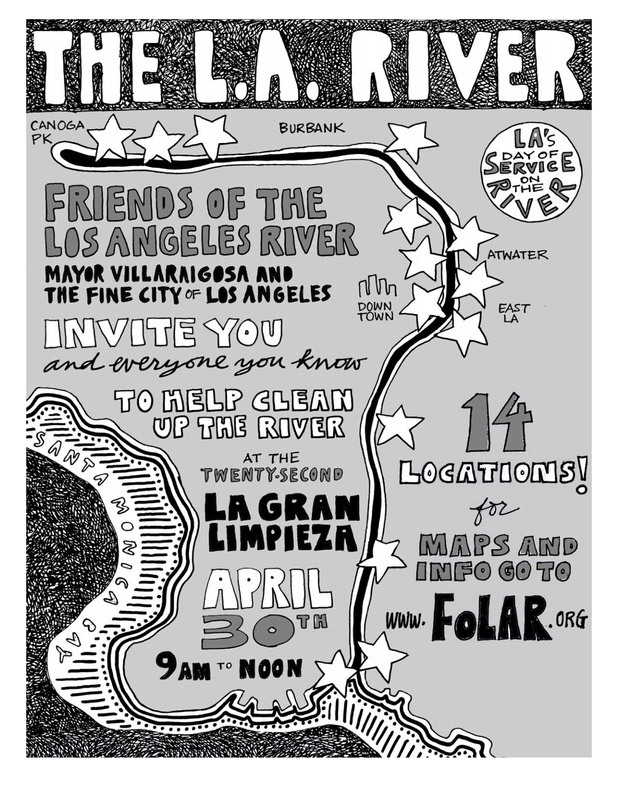 Well, April 30 from 9 a.m. until noon, it’s time to clean up the river, sponsored by Friends of the Los Angeles River and Mayor Antonio Villaraigosa. Check out this link for the deets.